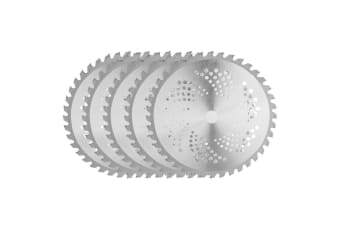 These premium MTM 254mm Carbide blades have landed and are already becoming the most demanded by professional operators and serious home users alike! Composed of high grade light weight alloy, these true commercial blades feature aggregated carbide tipped teeth that do not require sharpening and last up to ten times longer than regular blades. Meanwhile, the advanced tear-hole surface structure greatly reduces heat and prolongs blade life. Ideal for cutting thick and stubborn scrub and can also be used for pruning, hedging, and more! 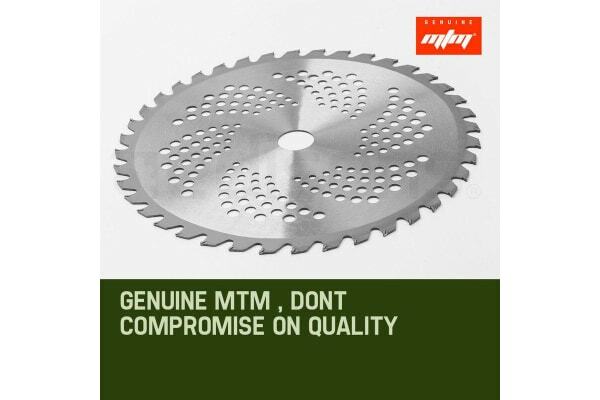 In fact these blades are so tough, they’ve been tested and proven to instantly slice through small saplings in one pass. 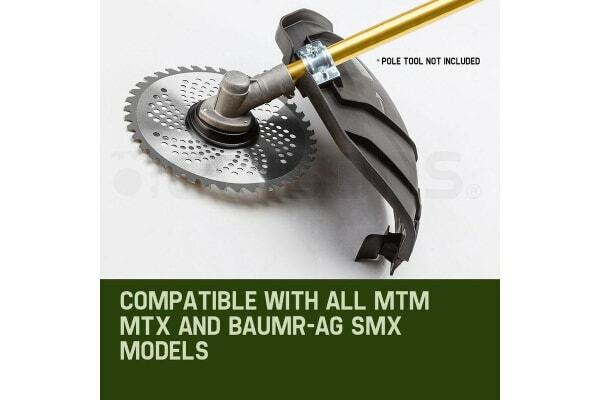 Featuring a standard 1’ Arbor, ensuring compatibility with almost all garden equipment brands. Considered the ultimate all-in-one king of cutting, slashing and pruning, these blades will outlast and outperform equivalent units retailing in excess of $150 -a bold statement backed by our famous satifaction guarantee!